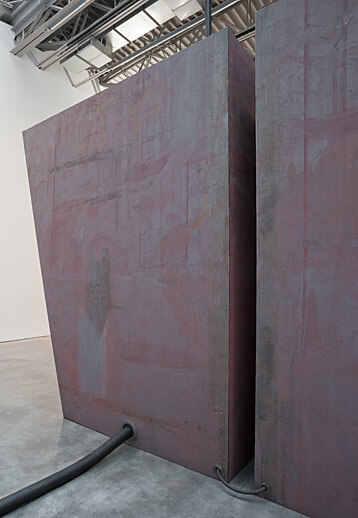 Miroslaw Balka. The Order of Things, 2013. Steel, water pumps, plastic, rubber, water, food colouring and wood. Two parts: 350 x 300 x 300 cm each. One part: 29 x 36 x 36 cm. 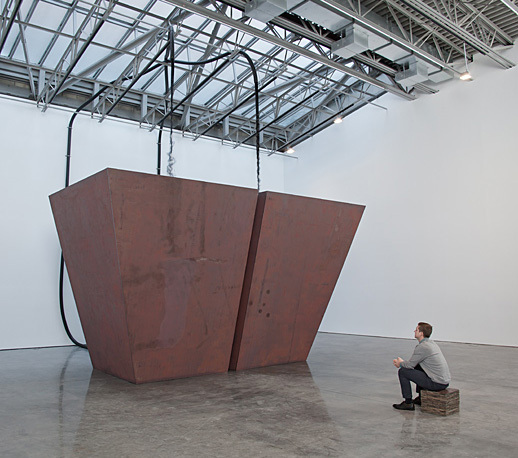 Miroslaw Balka. The Order of Things, 2013. Installation view.